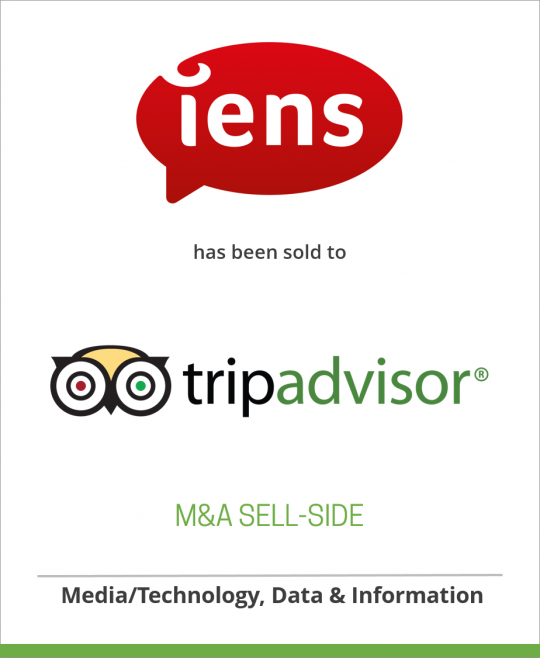 M&A International Team Holland Corporate Finance and (now Oaklins Netherlands) DeSilva+Phillips LLC collaborated in the sale of IENS, the largest Dutch online restaurant review and booking platform, to TripAdvisor. M&A International Inc.’s Dutch team (Holland Corporate Finance) originated the deal and acted as the lead advisor to IENS’ shareholders. M&A International Inc.’s digital media specialist team in New York, USA (DeSilva+Phillips LLC) played an important role in approaching the potential buyers and maintaining a continuous dialogue with them.